2012 | Art Basel Week: RedDot, Wynwood Art District, Miami, FL. 2010 | Boca Raton Museum of Art Show, Boca Raton, FL. 2010 | Gloria & Emilio Estefan Enterprises at Bongos Cafe, Exhibit & auction: In collaboration with the Event: "Miami Ayuda a Chile", Miami, FL. 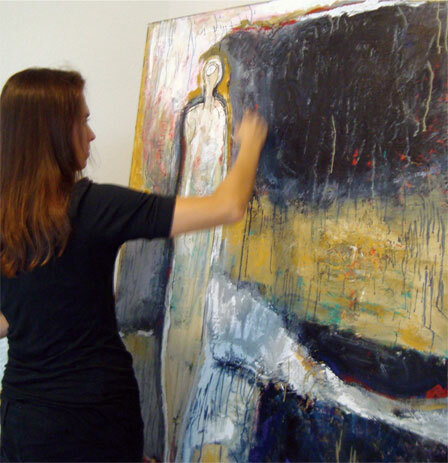 2009 | Klara Chavarria Contemporary Art Studio, Coral Gables, FL. 2008 | Hispanic Heritage Art Expo, Miami Beach Convention Center, Miami Beach, FL. Selected artist by Artful Home | representing the work of artist Klara Chavarria. Klara's work is in hundreds of private, corporate and public collections throughout the United States, Latin America and Europe, including a public collection piece exhibited at the Museum of Science and Industry and at O'Hare International Airport, both in Chicago, IL. Selected to work with the city of Miami Beach in an public commission art & design project. MASTEC, Inc. | Coral Gables, FL. City National Bank of Florida | Miami, FL. Bruna Seals | Miami, FL. 2019 | South Florida Style and Design Magazine | Ft Lauderdale, FL. 2009 | Miami Art Guide, Magazine and web Article, Miami, FL. 2009 | TV: Interview: Mega TV, Miami, FL. 2007 | Univision.com/Miami Herald "Art for Angels" Latin American art exhibit and reception, Miami, FL.